Yet another timeless and beautiful piece styled and designed by GlucksteinHome, these absolutely stunning pillows will definatly add to the elegance and sophistication of your home! 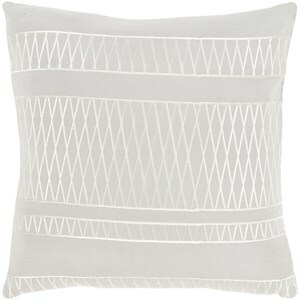 This pillow is made of 55% Linen and 45% Cotton inlayed with beautiful designs. 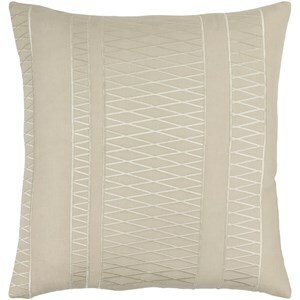 Crafted by expert artisans in India, these pillows come in multiple colors to suit your needs. Spot clean only. 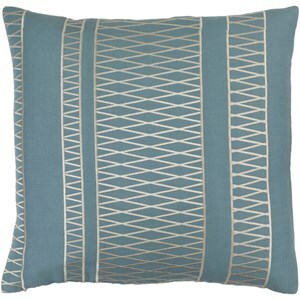 The Cora 20 x 20 x 4 Polyester Throw Pillow by Surya at Hudson's Furniture in the Tampa, St Petersburg, Orlando, Ormond Beach & Sarasota Florida area. Product availability may vary. Contact us for the most current availability on this product. Browse other items in the Cora collection from Hudson's Furniture in the Tampa, St Petersburg, Orlando, Ormond Beach & Sarasota Florida area.